In a medium bowl, combine the mayonnaise, yellow mustard, lemon juice, sweet pickle relish, celery, green onions, chives, garlic powder, onion powder, paprika and a pinch of salt and pepper. Stir until thoroughly combined. Fold in the hard boiled eggs. 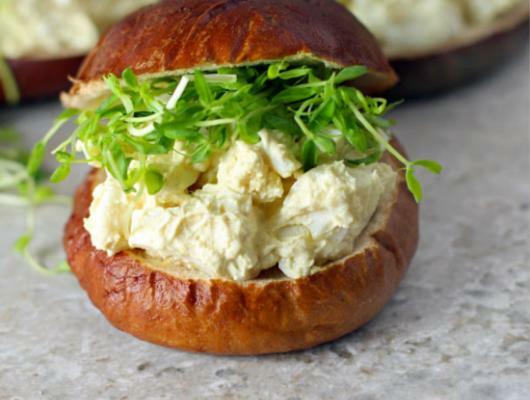 Taste egg salad and add salt and pepper as needed. 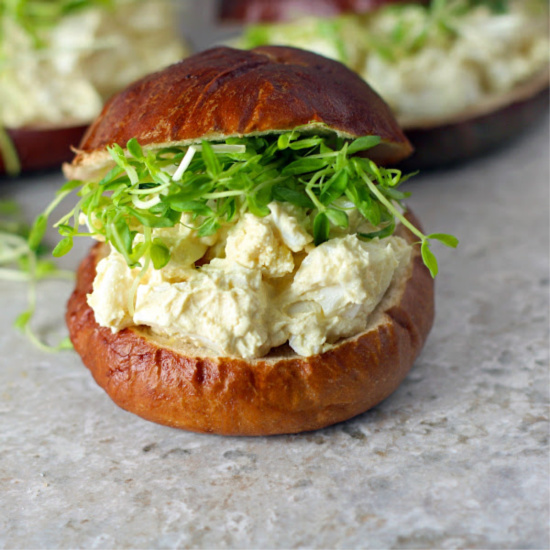 Spread the egg mixture on the pretzel rolls and add the sweet pea shoots on top. Enjoy!